Meditate and make a list of praise worthy things to share with the generations following you. DIY IDEA: Do you have a bunch of old ties? 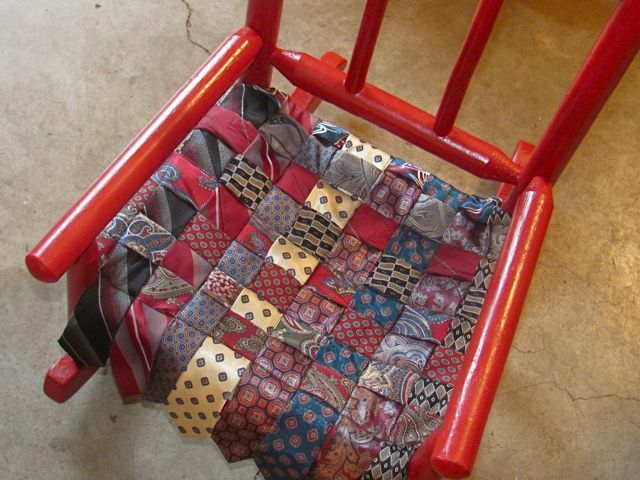 Weave them together to make a child’s chair seat. Do it together with a grandchild or make it as a gift. Simply Google “DIY Neck tie chair” for lots of instructions and pictures. Cathy – great scripture but when I saw the photo I thought you were going to tell me how to make this amazing grandpa’s tie chair. Do you know if there are directions for this – quite a cool piece.